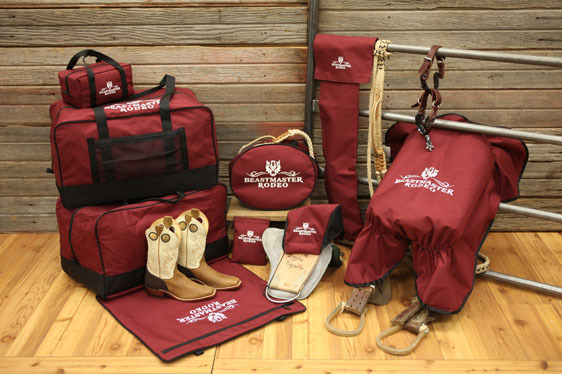 As the sun sets on another day of ropin’ and ridin’ and you pack up your gear for the day, be reassured knowing your equipment is protected by the best, Beastmaster Rodeo’s rodeo gear bags and equipment toppers. Our heavy duty, handcrafted rodeo gear bags and equipment toppers are constructed with both 1000 denier ballistic nylon and 1200 denier cordura with a urethane backing. This combination of highly durable materials creates a rain and puncture resistant surface as well as a tremendously sturdy rodeo gear bag.